Getting an implant is the closest you can get to achieve the appearance of a natural tooth. The aesthetic capability of an implant remains unmatched by any other tooth replacement method like a denture or a bridge. A correctly done implant can last you for decades. Sometimes your dentist will tell you that you need a bone graft before you get the implant. A bone graft is a piece of bone inserted into your jaw bone to support it. It adds to the support and stability. For an implant over the jaw bone, the bone has to be able to withstand it. Sufficient bone strength is one factor that determines the success of implant surgery. After radiographic and clinical investigations, if the dental specialist does not find strong jaw bone to support your implant, you have to go in for bone grafting surgery. The bone level may be insufficient because of tooth loss. Periodontal problems, decayed teeth, and improper prostheses all contribute to bone loss. Bone grafting is a process in which bone is added to your jaw bone. The risks involved in this procedure are the risks that come with any surgery. To understand this better, we can categorize the complications according to their cause. The problem may be because of the graft material, the graft site, the technique or the patient. Technique related complications include damage to the underlying nerve. If the bone grafting near the inferior alveolar nerve, the dentist must be careful with the bur. Patients who are smokers or tobacco chewers are predisposed to complications after a bone graft. Smoking retards revascularisation because it constricts your arteries. Similarly, people with diabetes and patients with any immunocompromised condition are at higher risk. They are more prone to developing an infection, or the graft being rejected by the body. Radiation therapy could diminish the activity of the bone forming cells. If the graft is from the mouth, near the maxillary sinus, the patient can develop the risk of sinusitis or an infection of the sinus. A meticulous approach by the dental surgeon and compliance from the patient are the keys to avoid these complications. If at all you do experience any discomfort post the surgery, see your dentist immediately. Placing an implant in your mouth is a surgical procedure. It takes at least a few months for the entire process to be complete. At the end of it, you will have a cosmetically pleasing artificial tooth. An implant has two parts- one part is the screw which fits into the jaw bone. The screw mimics the root of your natural tooth. The second part is the abutment, which rests on the screw. The abutment is above the gums. The dentist places the artificial tooth over this abutment. To determine if you are a suitable candidate to get an implant, your dentist will perform some investigations apart from clinically examining your edentulous space. Radiographs help to assess the bone height available for the implant. If the dentist sees that the jaw bone thickness is insufficient to support an implant, you will need a bone graft. The implant is usually placed in two sittings. In the first appointment, the surgeon places the screw in your jaw bone. In this procedure, the dentist makes an incision through your gums to expose the bone. With a drill, they then drill holes to place the metal post. The artificial tooth is not placed yet, so the edentulous space remains. You may get a temporary denture to cover the gap. Once the metal post is surgically drilled into the bone, a process called osseointegration begins. In simple terms, this is the process by which the jaw bone accepts the prosthesis and adapts around it. Osseointegration will take a few months to be complete. It is a very crucial process because it forms the foundation on which the implant will rest. On the next visit, your surgeon will place the abutment. Under local anesthesia, he cuts through the gums to place the abutment over the metal implant. Once the dentist places the abutment, the gums are approximated back around it. Therefore the abutment is visible on your gumline. Some patients can also get the abutment placed at the same time as the implant, to avoid a second surgery. The gums need a few weeks to heal after placing the abutment. The next step is to make an impression of the mouth for fabricating the crown. The artificial tooth is made to fit in the arch and maintain proper contacts with the adjacent teeth. Throughout the process, if you experience any pain, swelling or bleeding, bring it to your dentist’s notice for its management. Bone grafting is a pivotal step for patients who desire an implant but do not have a healthy jaw bone to support it. When it is done using the right technique and instruments, it can form the solid foundation on which your implant rests. A correctly done implant can even last a lifetime, and for that, the underlying bone should support it well. NextWhat is Dental Scaling and Root Planing? 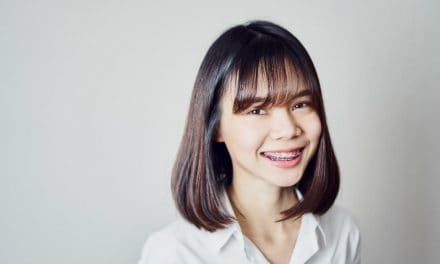 Are You Getting Braces Off? – Know What to Expect?